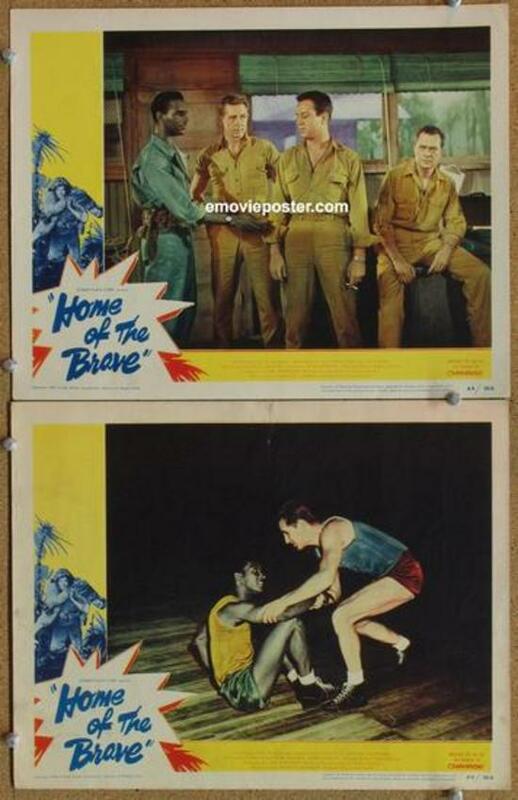 "James Edwards had a very notable career during the 50s and 60s but never seemed to be able to dispel the image he left with audiences in his sensational second film in the critically acclaimed HOME OF THE BRAVE in 1949. 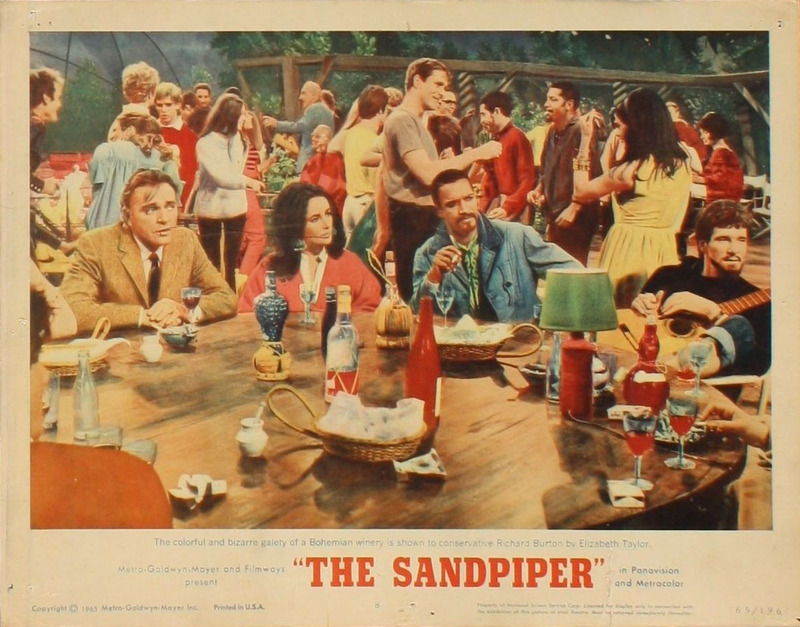 Ironically the original Arthur Laurents play had a Jewish protagonist, but after GENTLEMAN'S AGREEMENT and CROSSFIRE also had a Jewish protagonist, producer Stanley Kramer opted to make him black. 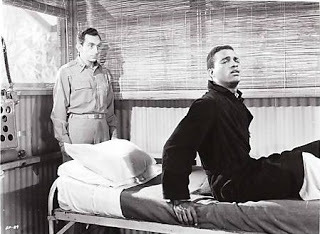 Edwards' portrayal of Peter Moss, a black soldier who volunteers for a top-secret mission on a Japanese-held island but becomes psychologically paralyzed because he abandons a childhood friend, was dramatic dynamite, and Edwards was justly praised for his acting. 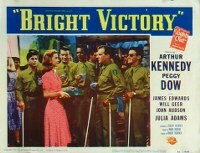 However, Edwards' portrayal seemed to follow him in subsequent roles and his edgy acting style seemed to remind both audiences and critics of Edwards' neurotic character from this 1949 film. Edwards was excellent in his many appearances during the next two decades, especially in military roles like MEN IN WAR, PORK COP HILL, THE CAINE MUTINY, THE STEEL HELMET, FRAULEIN, BLOOD AND STEEL, and BATTLE HYMN, in which he became the first Black actor to play a fighter pilot. 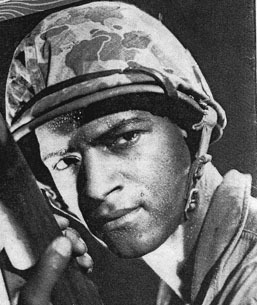 Playing a soldier came naturally to Edwards, who, after earning a degree in dramatics at Indiana and Northwestern in 1938, served his nation honorably during WWII. In fact, the young lieutenant was severely wounded and underwent facial reconstruction. Because his speech was affected after the plastic surgery, his therapists urged him to undergo elocution lessons as part of his recovery. His natural ability and his training as a method actor ultimately caused Elia Kazan to promote him from assistant stage manager to the lead in the national company in the controversial drama of interracial love, DEEP ARE THE ROOTS, with Barbara Bel Geddes. 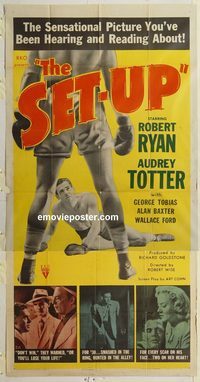 This led to his screen debut in Robert Wise's boxing Film Noir, THE SET-UP. (Below: with Robert Ryan, Edwards, and Wallace Ford). 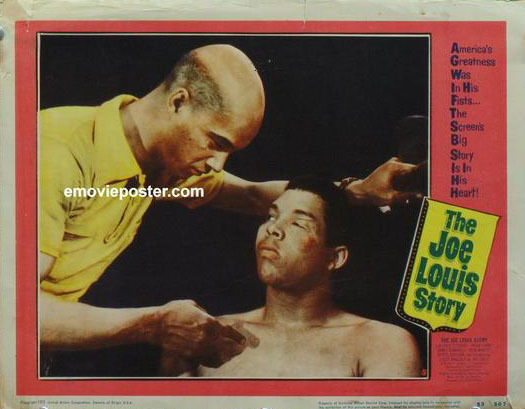 In Robert Moncure March's original poem the film was based on, the protagonist, an ex-con prizefighter, was black. 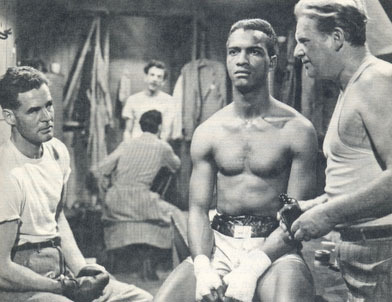 However, the studio got cold feet about making a race film, so his ethnicity was changed to white as boxer Pansy Jones morphed into Robert Ryan's Stoker Thompson, much to author March's chagrin. Director Wise defended the decision by saying that there were no veteran black actors available. It's amazing that no one brought up ex-boxer Canada Lee's name! Edwards ultimately played the small but impressive role of Luther Hawkins. 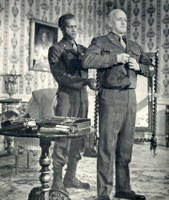 Edwards was very grateful to veteran actor Wallace Ford for his generosity and help in making his film debut a success, and many years later Edwards returned the favor by befriending Ford's grandson when he came to Hollywood. 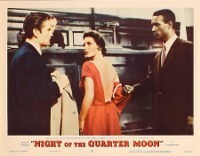 Edwards was then signed by Stanley Kramer for HOME OF THE BRAVE, ironically initially retitled HIGH NOON, a title that the producer would return to a few years later. Despite the inexpensive interior sets and the sometimes unsubtle dialogue, the movie hit home with its audience, especially its black audience. 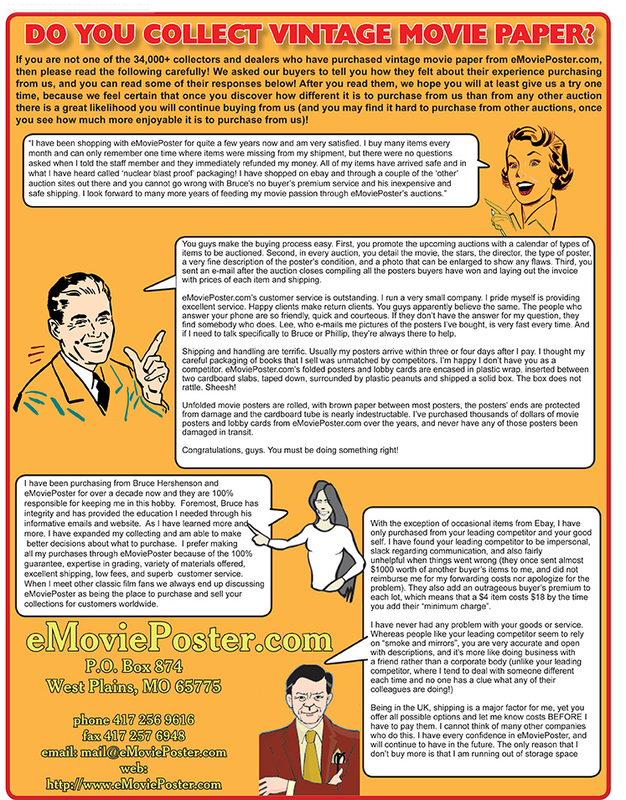 Moss represses and internalizes his rage over the bigoted treatment he receives, resulting in neurosis and psychosomatic paralysis. Although this was dramatically compelling, it seemed to create an image for the actor that seemed to attach itself to the audience's perception of his future roles. 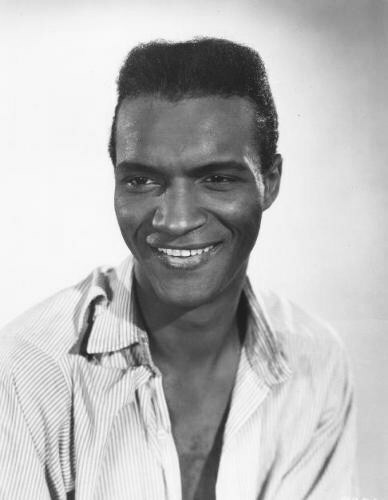 Appearances in highly praised films like THE KILLING and BRIGHT VICTORY - especially his twitching, sweating performance in THE MANCHURIAN CANDIDATE seemed to remind critics and audiences of the repressed, guilt-ridden Moss, and possibly kept him from consideration for some of the roles eventually played by the more conventional Sidney Poitier. 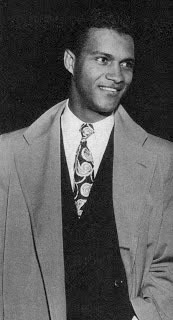 While Edwards was acting in THE RED BALL EXPRESS, he was asked to appear before HUAC. It is unclear why - perhaps to talk about his relationship with blacklisted Carl Foreman, the writer of HOME OF THE BRAVE. On principle he refused and was fired from the film and replaced by Sidney Poitier. 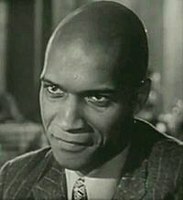 James Edwards kept working but he never was cast in another leading role. There were supporting parts in many 'A' films like A MEMBER OF THE WEDDING, THE SANDPIPER, SEVEN ANGRY MEN, and COOGAN'S BLUFF as well as some exploitive 'B's' like NIGHT OF THE QUARTER MOON and lots and lots of television work as an actor and writer, both credited and uncredited. He never quite understood why he never became a star. One can only speculate how the trajectory of his career would have changed had he played the lead in THE SET-UP. Opportunity knocked when Joseph L. Mankiewicz wanted Edwards for the role of Apollodorus, CLEOPATRA's closest advisor in the 1963 epic, and the director gave him three months to bulk up and get in shape for the key role. In the 1945 CAESAR AND CLEOPATRA Apollodorus was the role that made Stewart Granger a star. 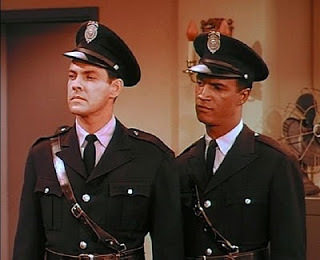 However, Fox executives balked at the idea of a black actor in such close proximity with superstar Elizabeth Taylor, so Cesare Danova got the part. Many of the actors on that film collected paychecks for years on the troubled production, but unfortunately not James Edwards. 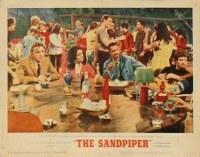 Although small consolation, he did co-star with her and Burton in a minor part in THE SANDPIPER shortly after. When Woody Strode was first saw James Edwards in HOME OF THE BRAVE, he saw the possibilities of a career for himself in film. 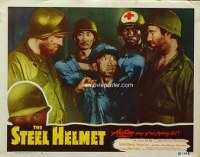 The two later became friends and co-starred in a very dramatic scene in PORK CHOP HILL. 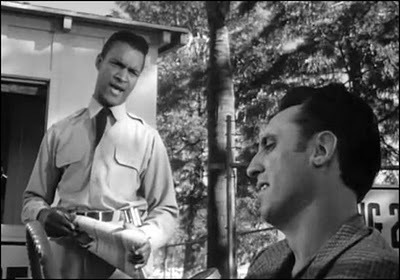 The more-experienced Edwards helped Strode by coaching him on and off-camera, and PORK CHOP HILL was an early milestone in Strode's career. 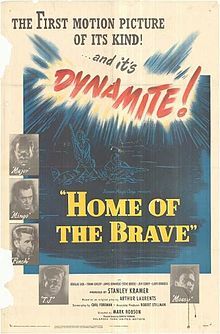 Strode later observed, "HOME OF THE BRAVE was the highlight of Jimmy Edwards' movie career. There wasn't much for him after that, and it broke his heart. He drank heavily, couldn't control it, and died of a massive heart attack. He got lulled to sleep because he thought he was an equal." 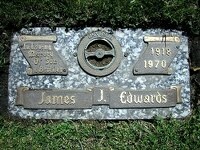 James Edwards seemed to be one of those rare people whom nobody had a bad word for. 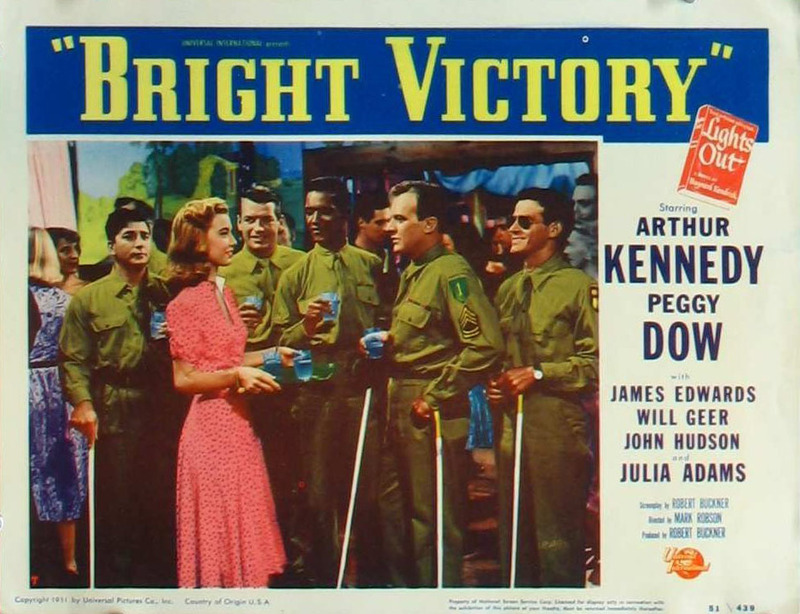 He passed on in 1970 at age 51 prior to the release of his fine performance in PATTON, a role that garnered him some of his best reviews in years. He left a wife and daughter. 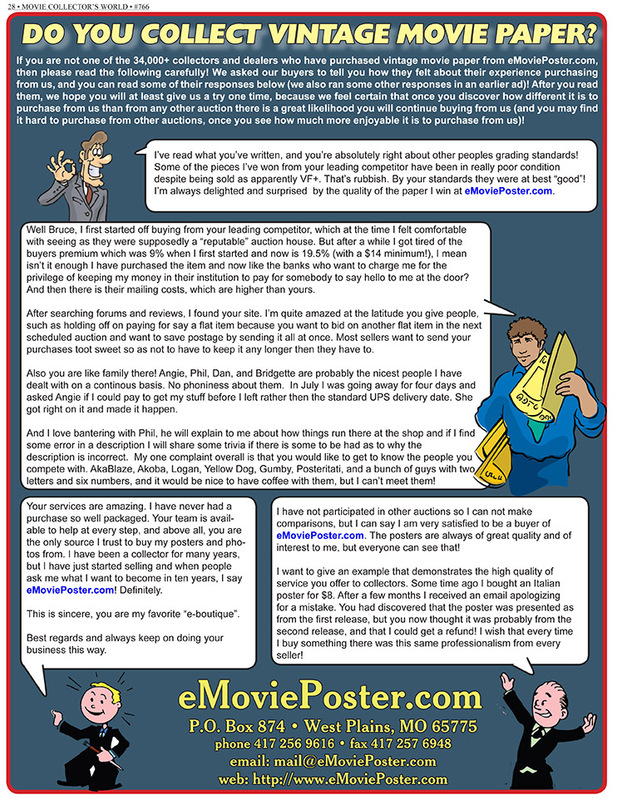 When George C. Scott, who famously declined his Oscar nomination in the film, was quoted by the L. A. Times at the time, he said, "Maybe I'll accept the Oscar in James Edwards' name. 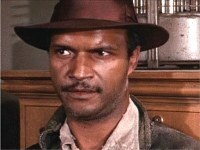 He deserved the Oscar twenty years ago, and Sidney Poitier knows it." 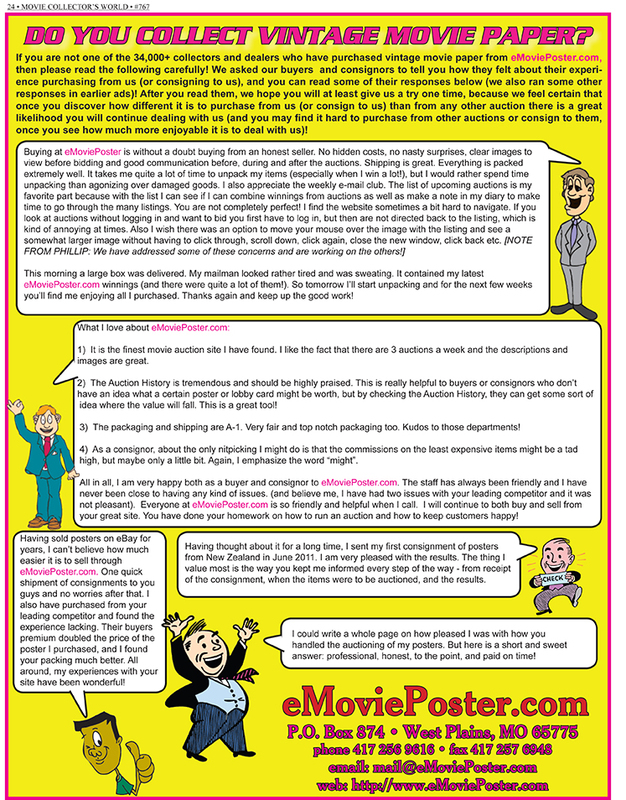 Postscript: In what is apparently a l'homage, Will Smith's character is named James Edwards before he becomes Jay in MEN IN BLACK."